Posted October 25th, 2014 - News Posted for ISA News. 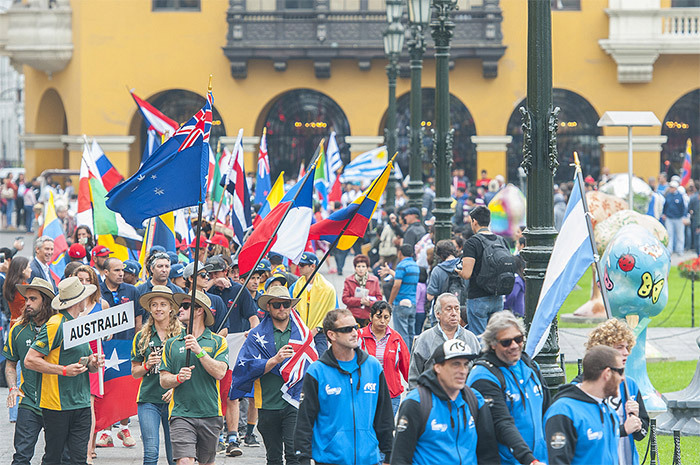 In attendance were over 150 of the world’s best surfers and team officials from 22 countries, who traveled to Peru from every corner of the globe. 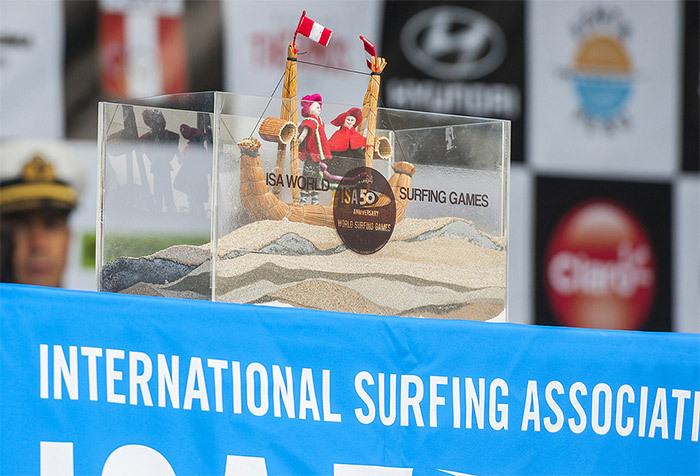 Thousands of enthusiastic Peruvians, local authorities, and ISA and local government officials witnessed the start of this historic competition to celebrate the ISA’s 50th Anniversary. 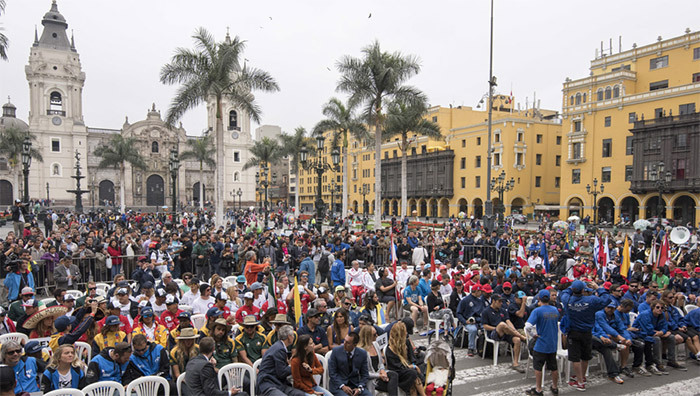 The National Delegations paraded around the city square and walked by the Presidential Palace, the Municipality of Lima and the Cathedral, which was crowded with thousands of local supporters and spectators. After arriving to the Opening Ceremony stage the 22 National Delegations participated in the ISA’s unique Sands Of The World Ceremony. Two representatives of each National Delegation walked on stage, one waving the national flag while the other poured sand from their local beach into a glass container, symbolizing the peaceful gathering of nations through the love of surfing. 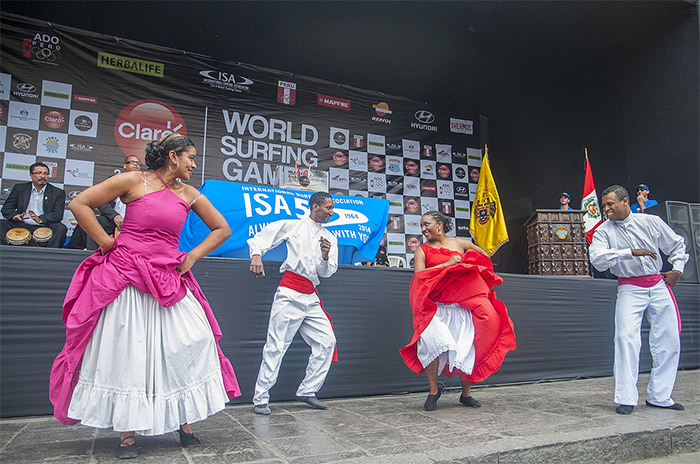 Following the ISA President’s address, there was a cultural dance presentation demonstrating a typical Peruvian dance that pleased all the visiting surfers from around the world. 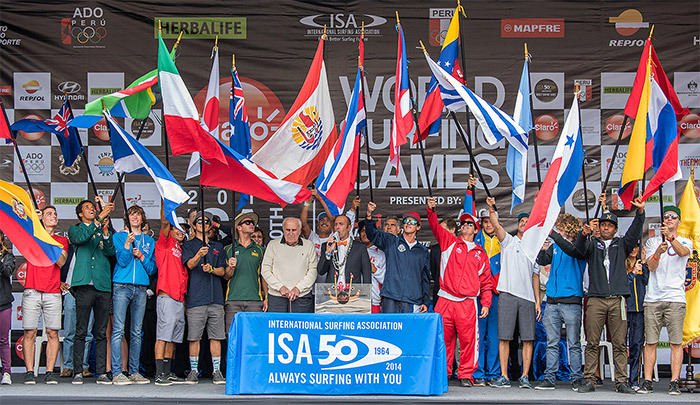 After the beautiful showcase of local Peruvian traditional dance, the ISA officially declared open the Claro ISA 50thAnniversary World Surfing Games. To conclude the Opening Ceremony, all the teams had a special invitation to visit Peru’s beautiful Presidential Palace. 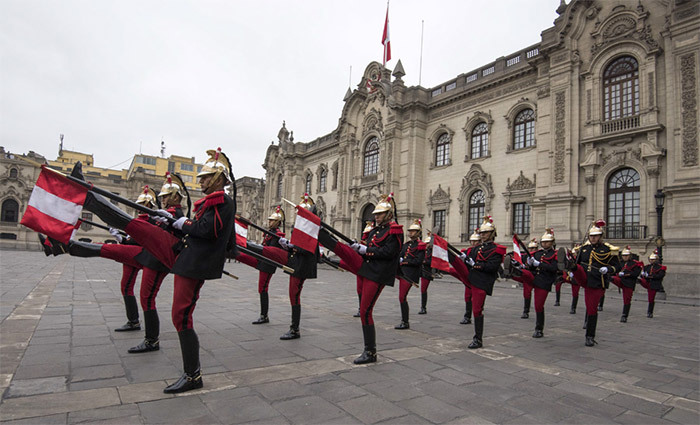 It was a unique experience to witness the “Changing of the Guard,” one of the most popular things to-do when visiting Lima.